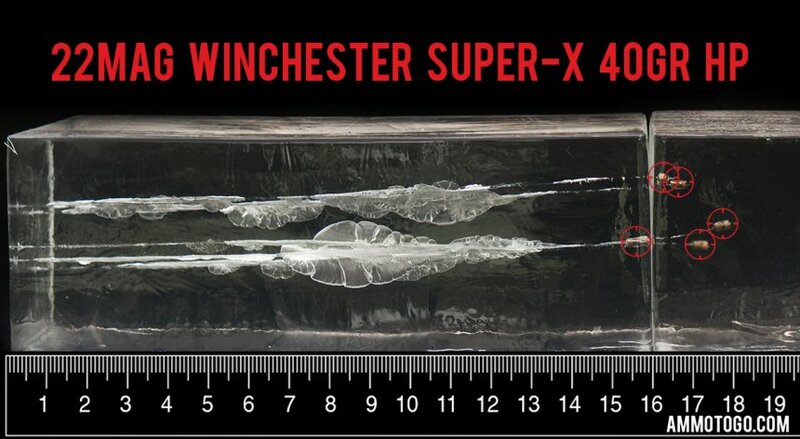 This is 22 Mag Winchester Super-X 40gr. Hollow Point Ammo. This is good reliable and clean ammo for the money. It is brass cased with a copper coated bullet. It comes packed in 50rd. boxes. We shot five of these Winchester Ammunition rounds through a four-layer cloth barrier using a Ruger LCR. The results are detailed in the video you see above as well as the photographs. 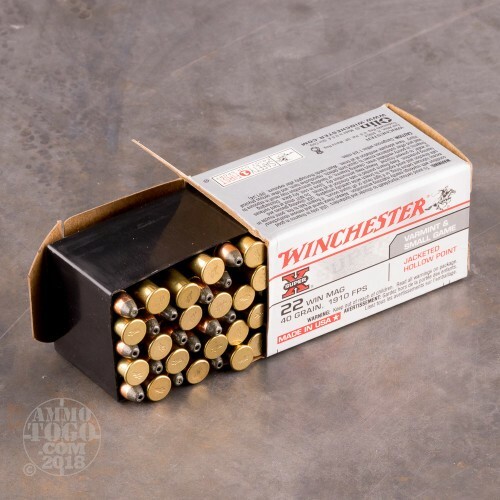 Through the charts, you should get a great idea how this Winchester Ammunition ammo stacked up relative to other 22 Magnum (WMR) ammo products available to American shooters. Penetration Depth Compared to 22 Magnum (WMR) Tested 0" 10" 20" 30" MIN 10.2" MEDIAN 14.9" THIS AMMO 13.5" MAX 24"
This is the original ammunition that convinced me that I needed a .22 WMR way back in the '60's. 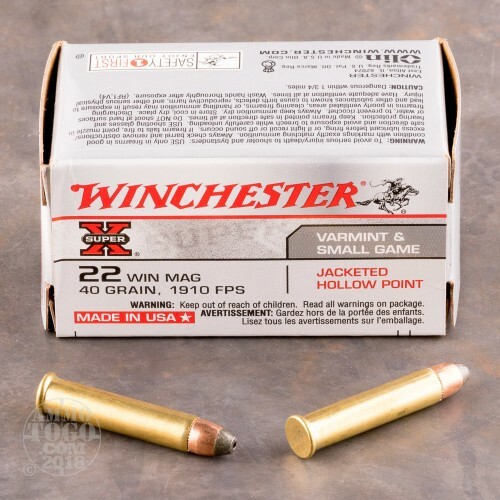 It isn't the hottest stuff on the market today, but very near impossible to find locally over the counter and it does everything that I need a .22 WMR cartridge to do. 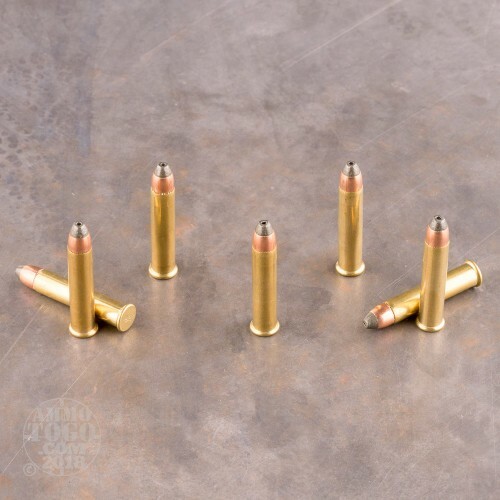 If I need the faster 30 grain tipped .22 Magnum ammo, Ammo To Go has that too. 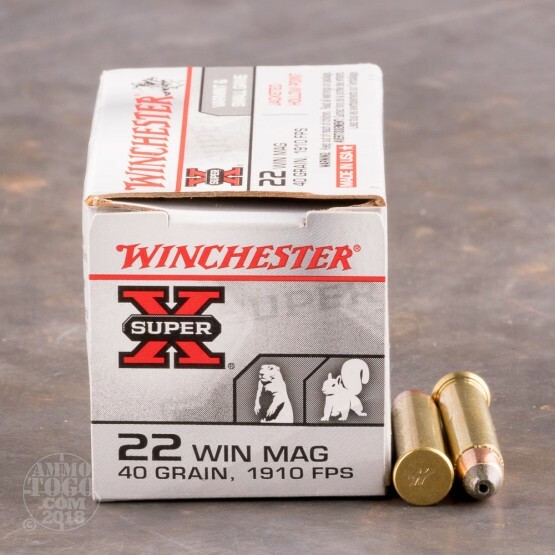 My local sporting goods stores do not stock the specialty ammunition that I need for my .221 Fireball, .300 Savage or 7mm-08 so I have been thankful that I can order it through Ammo To Go.